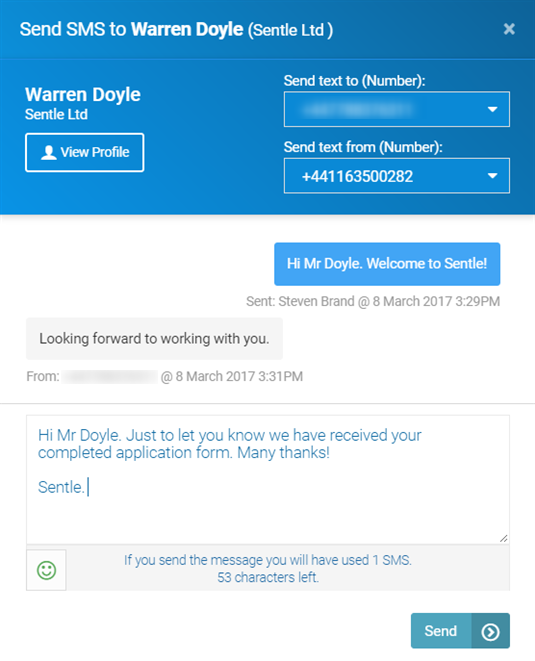 Communication is at the heart of Sentle and conversational SMS is an important aspect of this. When you send a text message out from your chosen telephone number the recipient will be able to respond directly to your text so in turn initiating a text conversation. These conversations are stored and can be tracked in a number of places as shown below, including the message window, the message centre and on the contact activity timeline.